Roundshaw Downs, at 38 ha, is the largest area of unimproved chalk grassland in the borough. As such, it provides an extremely valuable nature conservation resource for insects, birds and wild flowers. Nineteenth century Ordnance Survey maps show that most of what now comprise Roundshaw Downs was occupied by a number of farmsteads and was mostly fields. This site was the first international airport in London and both Charles Lindbergh and Amy Johnson are associated with the site. Prior to the aviation associations, the Mere Bank ran south to north through the site and is now near the current boundary between the boroughs of Sutton and Croydon. The Mere Bank, before it was flattened, was a Roman road that ran to Portslade near Brighton. It is unfortunate that the most memorable period in the history of this site was at distinct odds with what would have been the most distinguished historical feature of the downs. Before the First World, the site was known as Beddington Aerodrome and has been described as the “cradle of British civil aviation”. The use of a site as an aerodrome generally prohibits any large obstacles and the Mere Bank was flattened as a result. Eight years later, after the closing of Plough Lane in 1926 and the erection of new buildings and even a hotel, the aerodrome changed name again to become “The Airport of London”. During the late 1920’s and the ’30s, the site was the only international airport in London and ran regular routes to the Indian subcontinent and also to South Africa. 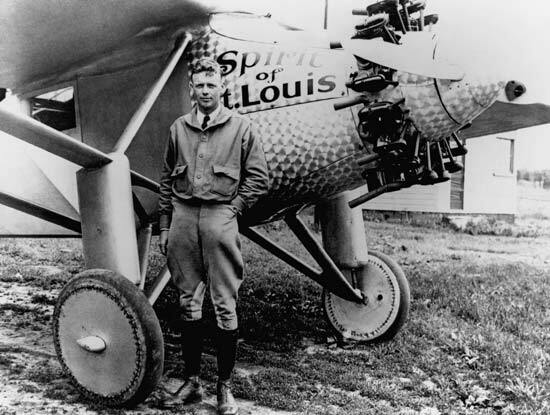 Charles Lindbergh arrived here from Brussels in the ‘Spirit of St. Louis’ to a crowd of 150,000 people after his solo crossing of the Atlantic in 1927 and Amy Johnson (a fisherman’s daughter from Hull) left Croydon Airport on her flight to Australia in 1930. 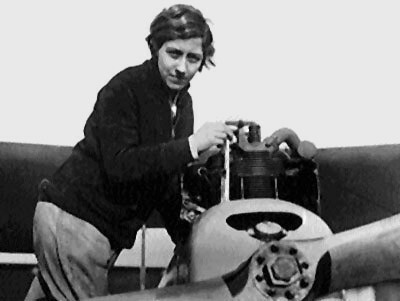 Their legends are still very much associated with the Downs, with the local primary school bearing the name of the aviatrix, whilst a local play-centre bears the moniker of ‘The Lone Eagle’ himself. Over the next couple of decades, however, as aeroplanes were increasing in size and therefore the space required to accommodate them and the runways required for take-off and landing grew commensurately, the urban build around the aerodrome impinged upon the amount of space that could be utilised for extensions. 1946 saw the opening of Heathrow as London’s primary airport and without the room to expand to accept the new jet liners, Croydon airport eventually closed at the end of 1959. Although there are a number of mown paths enabling easy access around the site for people, there are large swathes of un spoilt grassland. Within these blocks, typical chalk grassland species such as common quaking grass (Briza media), wild carrot (Daucus carota), common and greater knapweed (Centaurea nigra & C. scabiosa) and bird’s-foot-trefoil (Lotus corniculatus), the foodplant for the common blue butterfly (Polyommatus icarus) occur in large numbers. One plant that occurs on the downs has its national stronghold in the Sutton and Croydon boroughs and is legally protected. Greater yellow rattle (Rhinanthus angustifolius) is so called because when the plant is ready to set seed, the calyx (a group of sepals) dries out and rattles. The impressive wasp spider (Argiope bruennichi) builds large webs in the grasslands of the downs. The webs are distinctive, not only because the yellow and black female is often sat in the middle but also because of the vertical zigzag of silk called a stabilimentum. No-one is quite sure why this structure should be included within the web but it may help to attract insects or provide more stability within the web or even to prevent birds flying through it! Wasp spiders feed on flying insects and also seem partial to eating grasshoppers and crickets. This is not a native spider to Britain but has moved from the Mediterranean, into southern England and is now moving northwards! This may be as a result of climate change. 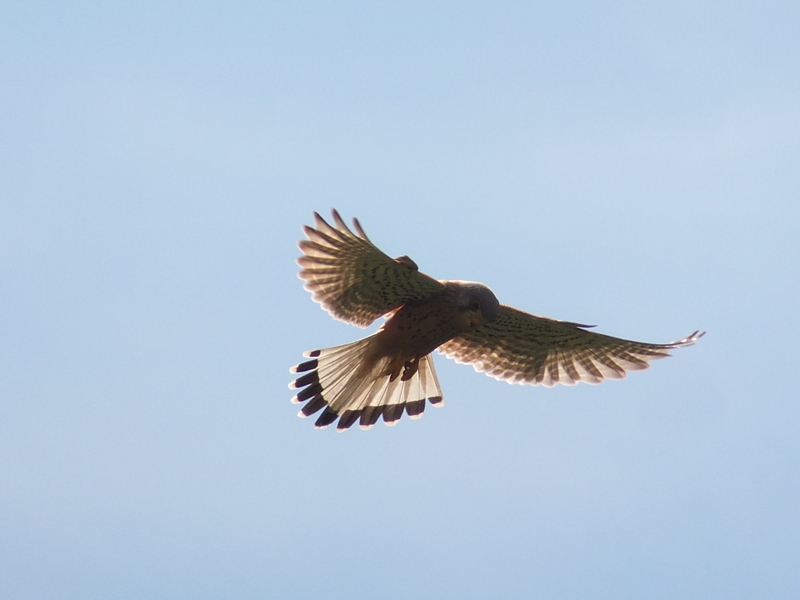 You can usually see kestrels (Falco tinnunculus) hovering over the grassland looking for their favourite prey, voles! Kestrels (as can many creatures) can see beyond the human range of colours into ultraviolet. It is this ability that they use for hunting voles. Voles have runs within the grassland for getting about their territory. To warn off other voles from an individual’s territory, each vole urinates along the runs. The urine contains a special smell that is recognised by other voles. However, the urine is reflected in ultraviolet light and it is this that the kestrels see when they are hovering. To kestrels, the whole area is a network of glowing vole trails. They will hover over a trail, waiting for a vole to scamper by. If it does, the kestrel will drop down onto the hapless vole and severe it’s spinal column with a bite, just behind the head. To help these lovely birds of prey at Roundshaw Downs, we have installed special kestrel boxes. The grassland also supports ground-nesting birds like the skylark (Alauda arvensis) and the meadow pipit (Anthus pratensis). The skylark is a Red List bird, that is, it is a bird of conservation concern due to the dramatic decline in it’s population in Britain. The major cause for this is the lack of suitable places for it to nest, as many farms now don’t have rough areas in fields. Through the new agricultural policies coming into practice, this may change in the next few years. However, at Roundshaw Downs, thanks to the sensitive management of the site, we have several breeding pairs of skylark, as well as breeding meadow pipit. Both of these birds have fantastic song flights to display to competitors and to show off to females. The skylark is justifiably famous for the length and clarity of the song flight, flying up to maybe 50m above the ground, singing continuously, before dropping down to the ground, still singing. The meadow pipit displays in a different way. 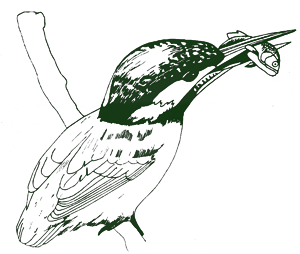 the male will find a song post, usually a low tree or shrub, sing and then go up for a brief song flight, before ‘parachuting’ back to the ground on stiff wings. The best time to see displaying skylarks and meadow pipits is April and May on sunny days. The scrub and woodland around the site contain many other bird species. Great spotted woodpeckers (Dendrocopus major) live in Roundshaw Woods and by Plough Lane, along with blackcap (Sylvia atracapilla) and chiffchaff (Phylloscopus collybita), whilst the scrub area near the sycamore copse is full of the scratchy warblings of whitethroat (Sylvia communis) from April onwards. In previous years Roundshaw Downs has been managed by using a rotational mowing system, where the grassland system was cut fully every three years, with roughly a third of the Downs cut in late Summer or early Autumn. However, in 2012 a large paddock was created in the centre of Roundshaw Downs to allow cattle to graze on the site. The purpose of this was to manage the site more naturally and shift away from having to mow of the whole grassland site. The Downs is now home to five Sussex bullocks, who spend their time in between the two paddocks. The south paddock is much more species rich that the north paddock, and so is grazed first to help some of the rare chalk-grassland species cross over into the north paddock. 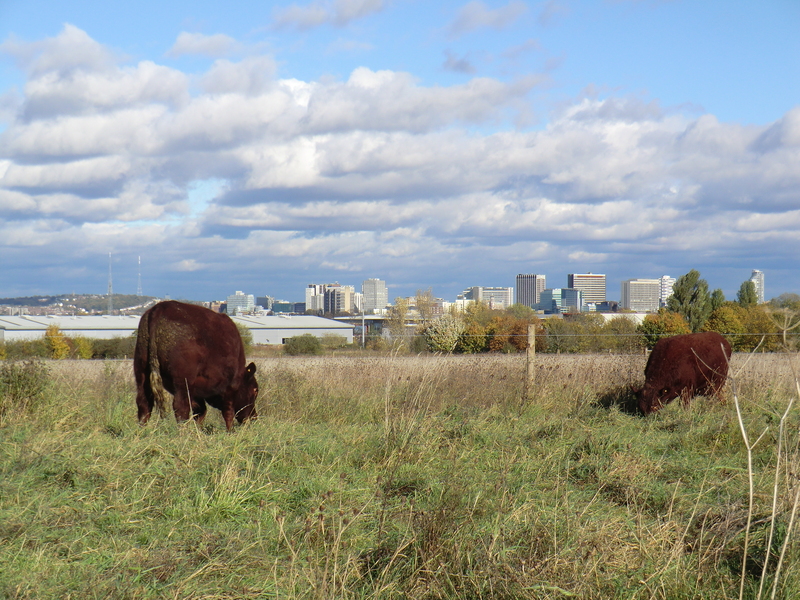 By only allowing the cattle to graze a certain area of grassland, this ensures that the grass is of different ages and heights, providing more shelter and food for invertebrates, as well as ground nesting birds. Managing the growth of scrub around the site is also very important. This prevents areas of grassland becoming overgrown, whilst keeping the scrub habitat in good condition for birds, invertebrates and small mammals.